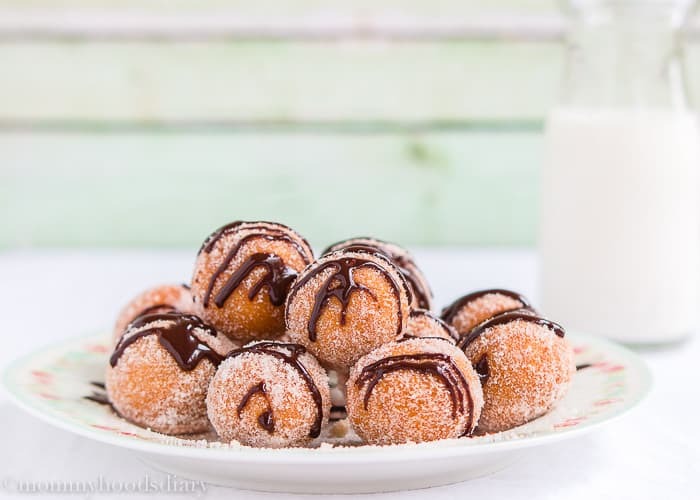 Easy Churro Bites with Chocolate Sauce – These easy and eggless version of the traditional churros are irresistibly, especially when they’re dunked in creamy chocolate sauce! Have you ever tried a real churro? With “real” I meant not those freeze and bake churros they sale at theme parks. 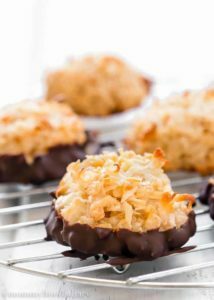 I mean the perfectly golden, crunchy, sweet, sugary ones made from scratch. They are divine! They are normally eaten dipped in hot chocolate. Churros bring back so many beautiful memories from back home. I remember us sitting on a small bench made out of wood in the middle of la plaza Bolivar in El Hatillo, a small town outside Caracas, eating churros and drinking hot chocolate while we saw our little girl playing and running around. Our little girl is now 24 yo… so those memories are priceless. 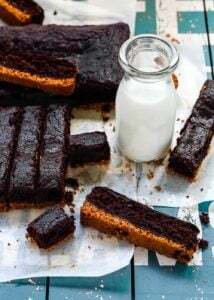 These little bites are my quick and easy version of those wonderful traditional churros. 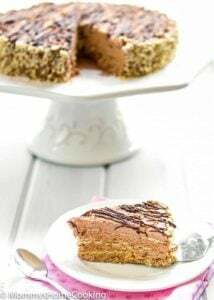 As you might, or might not, know most churro recipes have eggs in it so I had the need to come up with an eggless version for Vicky. They turned out heavenly. The beauty of this recipe is its simplicity. No mixer, no special equipment, not even a pastry bag. They really do taste like Churros, but I must say that the texture is a little different, not as crunchy in the outside. No worries…I promise you that they will do the trick and once you pop one in your mouth, it will be impossible to stop! 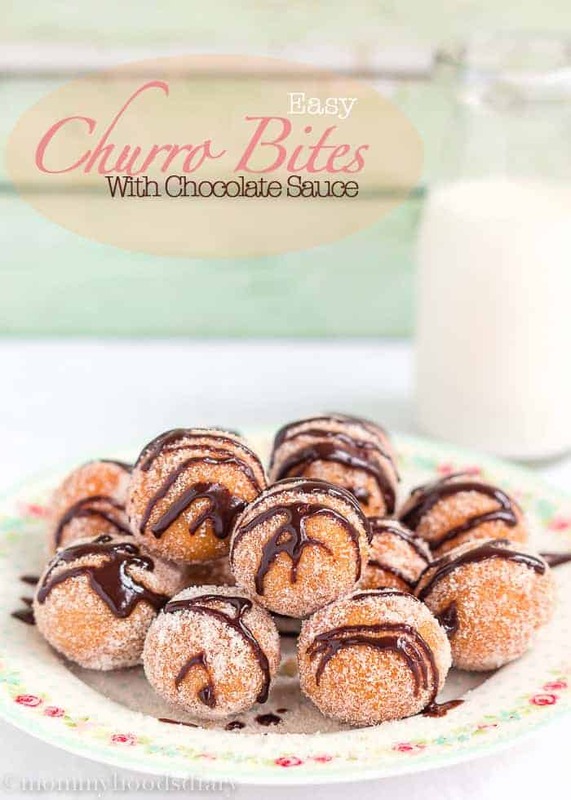 Believe me… You need these churros bites in your life! Each bite it’s just perfect, sweet, crispy, and tender. So hurry, combat the cold outside with warm treats inside. You’re going to be so happy!!! With a thermometer attached to the side of the pot heat oil until it reaches 350º F, be sure to use a pot large enough to hold at least 2 inches of oil. IMPORTANT: keep a close eye on the oil temperature; so it doesn't get too hot. Ideally it should be at 350 degrees throughout frying. If the oil is too hot, the churros bites will brown too quickly on the outside and will be raw on the inside. In a medium saucepan over medium heat mix water, salt and 1 tablespoon sugar. At first boil stir in flour. Using a wooden spoon, mix well until smooth and combined. Transfers the dough to a bowl and let cool slightly. In a resealable plastic bag combine remaining sugar and cinnamon. Reserve. When the dough is cold enough, using your hands, knead until it is soft and smooth. Form 24 equal size balls, about 1 1/2 inch diameter. Carefully fry the balls in batches in hot oil for about 3-5 minutes, or until golden brown. Place on paper towel to remove excess oil. While churro bites are still hot place them in the bag with sugar and gently shake to coat with the mixture. Serve warm covered chocolate sauce. The dough should be soft but not sticky, if so, add a little more of Bisquick ™. I love the idea of bite-size churros! look so different and tempting! Great recipe, Oriana! These look so delicious, like I can’t even right now! omg, I want these!!!! they look so delicious Oriana! Would you believe it, I have never tasted churros, really want to especially after looking at your pictures! I love churros but never seen before such perfect looking churros girl!! And that chocolate sauce just so yum! 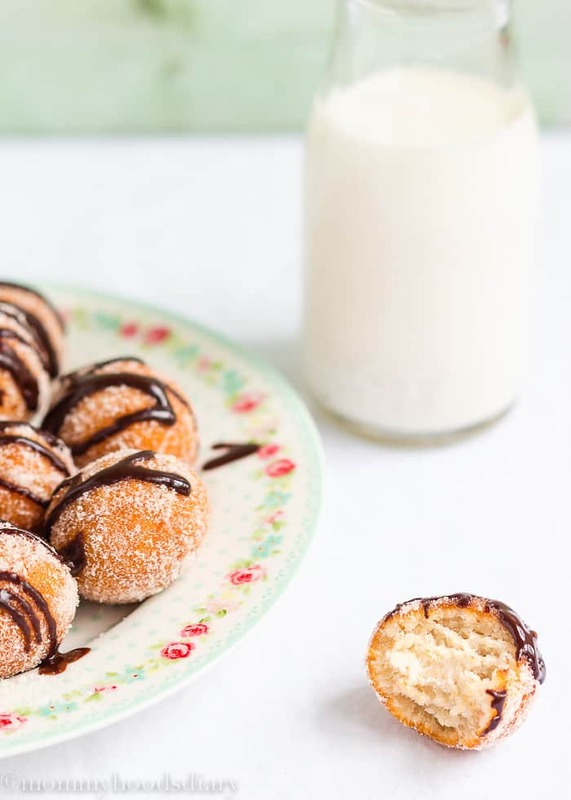 It’s crazy how little ingredients and super easy these churro bites are to make. I have to try out the recipe! Yum! 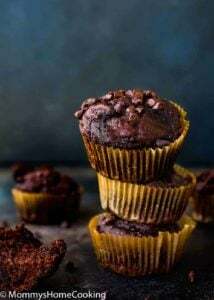 These look amazing ~ and egg-free too? I’m sold. Pinned! I can’t wait to try this (I got a deep-fryer machine recently on Black Friday!). Nunca me imagine que hacer churros fuera tan facil. Te quedaron muy lindos y me imagino el delicioso sabor. Gracias por la receta me la llevo! I can’t believe how simple to make these are! Beautiful and delicious! Lovely pictures as always! You don’t have to tell me twice! 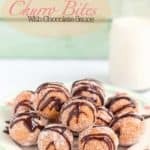 I definitely need these churros bites in my life right now! Pinned!